The winter weather here in San Jose is in full swing. Planning and preparing your home for the season is the best thing you can do to ensure your health and safety. Our valley can experience cold temperatures through the months of February and March, so now is the time to start thinking about how to stay warm and prepare ensure your home is ready for the rest of winter. During winter, it is always a good idea to stock up on extra blankets, winter coats, and portable space heaters. 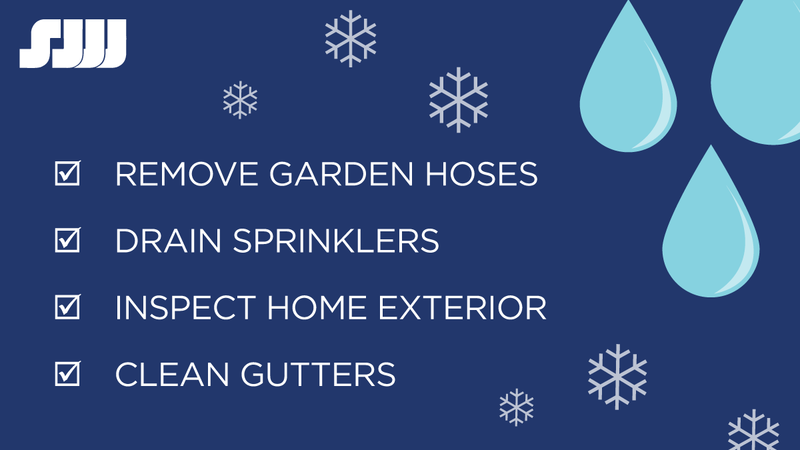 As the air gets colder, you may also want to think about putting together a checklist during frozen or frigid temperatures. For example, keeping the indoor temperature in your home warm and opening the kitchen cabinet doors under the kitchen sink allows heated air near pipes and prevents them from freezing. If your pipes do happen to freeze, we recommend using an electric hair dryer to help thaw them. If you’re a homeowner, we recommend removing all of your outdoor hoses and draining them to prevent any ruptures from freezing. Ground sprinklers should also be drained as well. Additionally, sometimes cold air sneaks in through small gaps in our windows and under our doors. It’s a good idea to carefully inspect the interior and exterior of your home and fix any gaps with weather striping or simply by laying rolled towels to stop cold air from coming in. Finally, it also a good idea to clean your gutters well. Brushing away fallen leaves and debris from your gutters prevents water from backing up and creating a pool of water. When water freezes, your gutters can be damaged if water is backed up. The winter weather in San Jose is on its way. Preparing and planning ahead of time at home is for everyone and ensures a safe season. Stay warm San Jose!